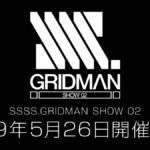 SSSS.Gridman Season 2 In The Works? If your among those clamoring for more of Studio Trigger’s hit SSSS.Gridman anime, we have good news for you. This comes straight from the SSSS.Gridman account, who teased that a 2nd season might’ve already entered production. At the moment, not much else is known about this potential 2nd showing other a date that was given along with the image of May 26th, 2019. This could be a possible start date, which would put SSSS.Gridman Season 2 in the running for the summer. Either way, be sure to tune back into Tokunation as the date draws near, and we’ll bring you the updates as it becomes available. New information has just recently come to our attention since publishing this article: the tweet and image in question is actually the date for a follow-up to a talk show. Of course, it is still possible we might see SSSS.Gridman season 2 get announced during that show. But if anything noteworthy comes up, we’ll be sure to let you know! 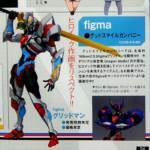 Previously, Good Smile revealed prototypes for both an upcoming Figman Gridman, and most recently after some spoiler-y developments in the last couple episodes, teased a Figma Grid Knight. Now that the most recent issue of Figure Oh has been released, we finally have our first full color image of both prototypes! 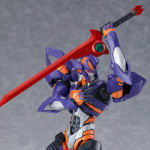 This image shows Gridman for the first time in vibrant color, wielding the mighty Gridman Calibur. 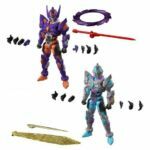 Grid Knight is looking equally gorgeous in purple & orange, though for now at least we haven’t glimpsed the Grid Knight Calibur he almost assuredly comes with. This image does however confirm Figman Gridman’s size at 160mm (roughly 6.3″) which is larger than the average Figma, and larger than the Gridman figure GSC is releasing in the DX Assist Weapon Set. For now we still don’t have specific pricing or release information, but when we do, we’ll be sure to update this story. In case you missed it, our friends at Goodsmile company announced that Studio Trigger’s SSSS.Gridman was coming to the Nendoroid line. 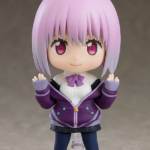 Since the announcement last month, the official production page for both the standard version and DX version of Nendoroid SSSS.Gridman has gone live, and thanks to that we now have release info along with new stock photography of the two. 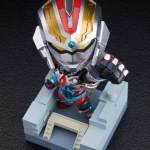 The standard version of Nendoroid SSSS.Gridman can be yours for 4,630 yen. It includes a finishing move beam effect part along with a clear display stand. 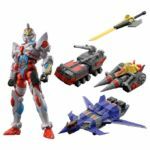 Meanwhile, the DX Version of Nendoroid SSSS.Gridman comes with both aforementioned accessories, in addition to a diorama themed display base, Grid Calibur weapon, and a light-up eyes gimmick. This set can be yours for 6,667 yen and both will be released in 2019/06. It’s best if you’ve seen episode 10 of SSSS.Gridman before reading this post, or you may spoil yourself on it. Goodsmile has been showing off some updates recently on their upcoming Figma Gridman, a totally separate release from their 2019 releasing DX Gridman Assist Weapon set. Figma Gridman looks to be a bit more of stylized take on the character as a single action figure, is a bit larger than the one from the DX set, and doesn’t appear to be compatible with that. It’s still a gorgeous figure, but now it looks like a new companion piece is coming to go with it. Making his debut in episode 10, Grid Knight is yet another new imagining of previously unused elements from the Gridman franchise. Twitter user @Mach_Dent has by far been proving to be one of the best resources for breaking down references and homages in SSSS.Gridman since it began. And this week he gives a fantastic breakdown of the elements that have led to Grid Knight’s origin. The Figma Grid Knight prototype is still hidden in shadow, very likely to conceal some of the more obvious spoilers about the character, but we can expect more updates soon. It’s pretty wild that SSSS.Gridman now has 4 individual Figma’s in development with Akane, Rikka, Gridman, and Grid Knight simultaneously being teased out. Could these recent developments bode well for any more of the cast like Yuta, Anti, or Alexis? Let’s hope! 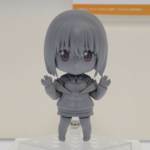 In case you missed it Max Factory announced that three SSSS Gridman characters were on their way to Figma: Gridman himself, along with Akane and Rikka. 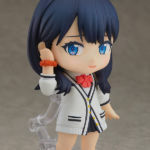 But it seems like Figma won’t be the only way for collectors to enjoy those characters: with Goodsmile’s Nendoroid SSSS.Gridman, Rikka, and Akane were also just recently revealed in cute chibified forms. At the moment, only Gridman himself appears to be fully painted with Akane still in the early development with Akane only existing as concept art. 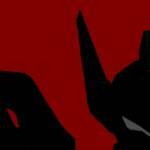 Be sure to stay tuned to Tokunation though, and we’ll bring you more info as it becomes available.